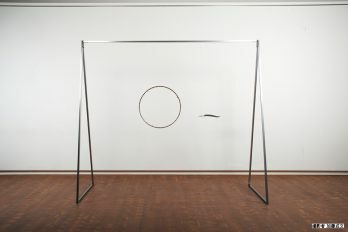 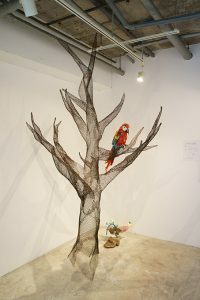 Yodogawa Technique is an artist name of Hideaki SHIBATA (born 1976, Okayama, Japan). 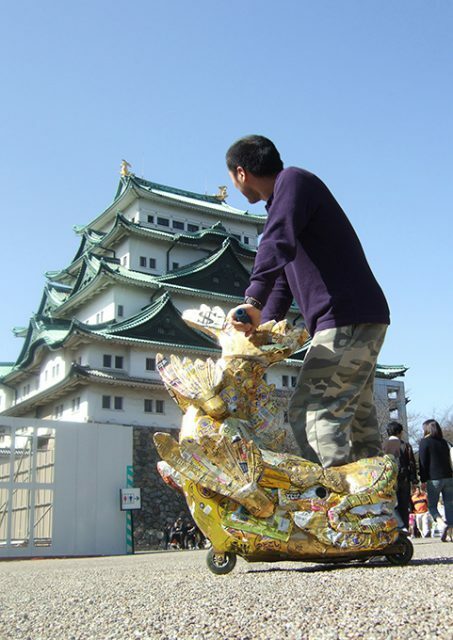 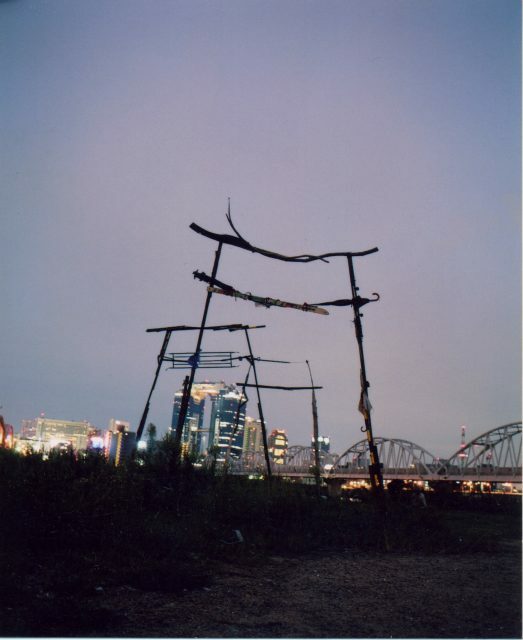 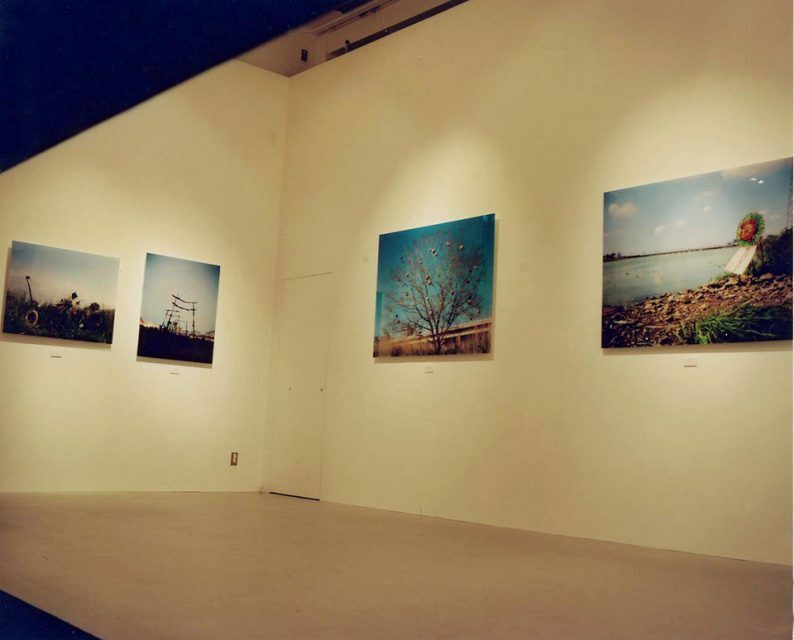 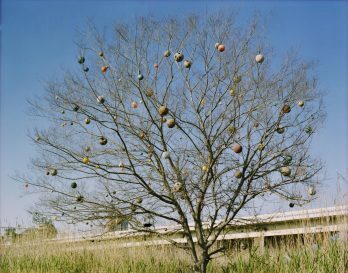 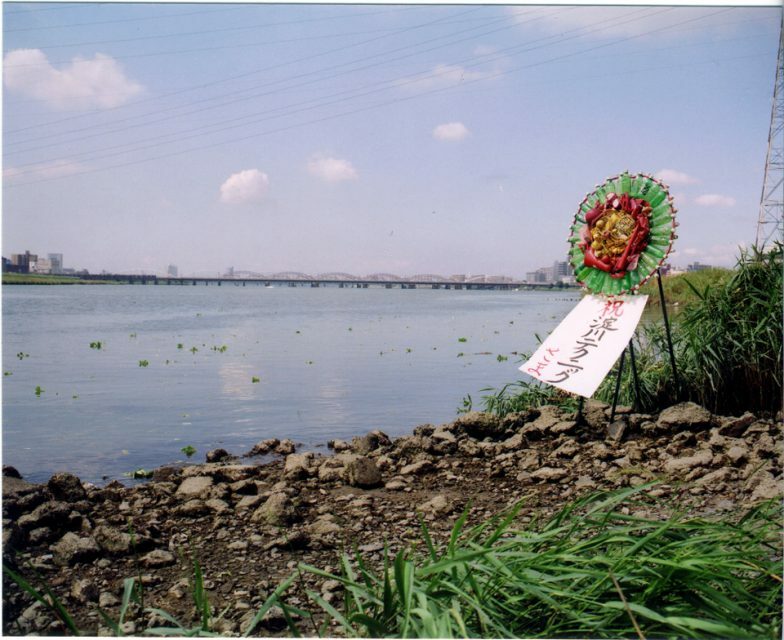 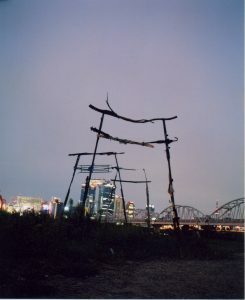 It was originally founded as an artist group by Shibata and his school friend Kazuya MATSUNAGA (born 1977, Kumamoto, Japan) in 2003 at the river terrace of Yodogawa (Yodo river) in Osaka, Japan. Shibata now performs solely. 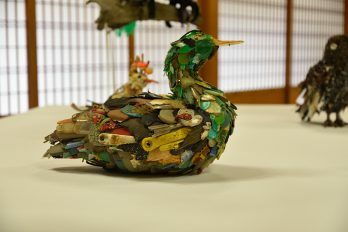 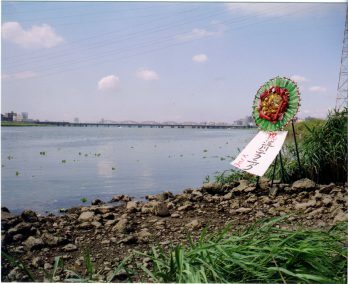 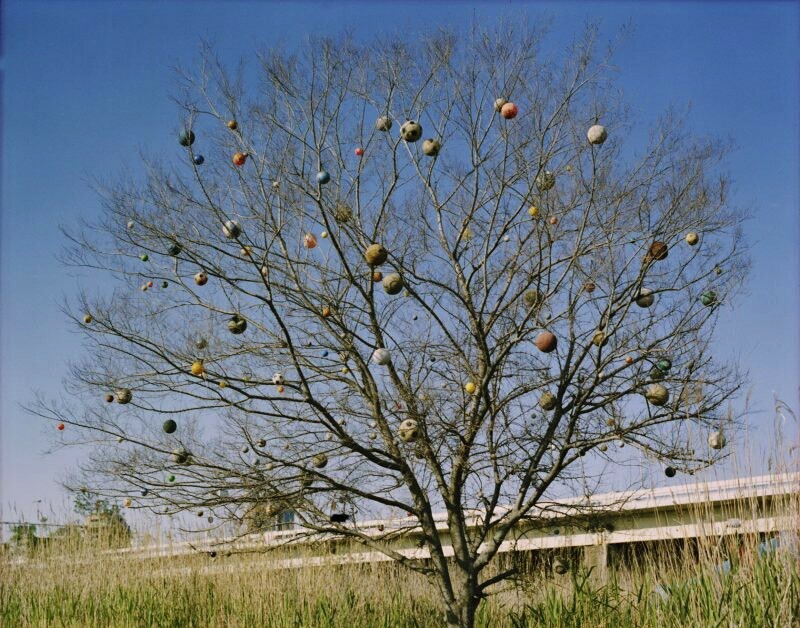 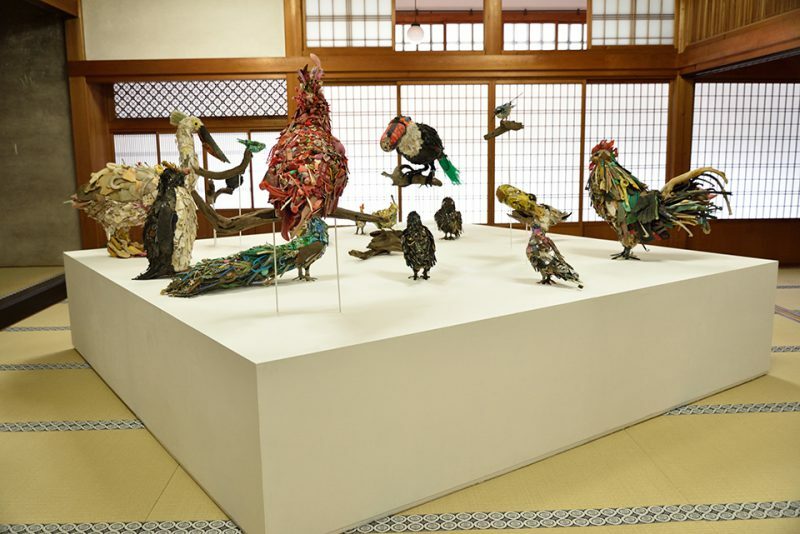 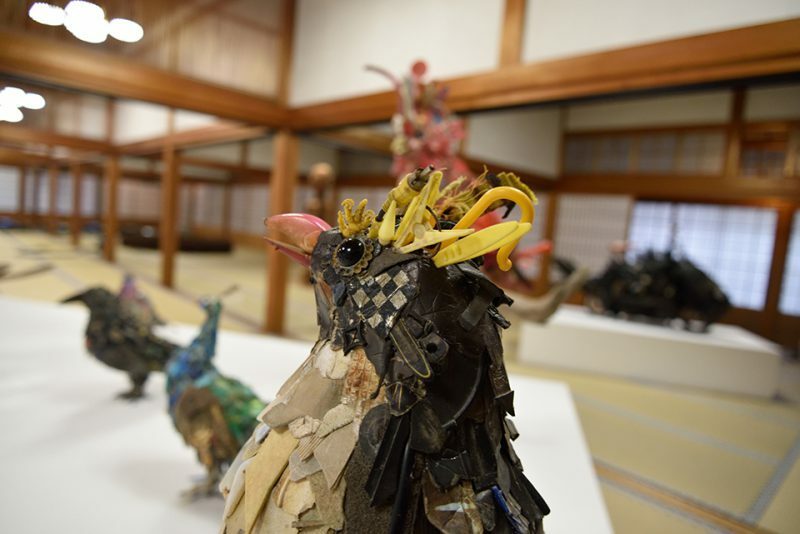 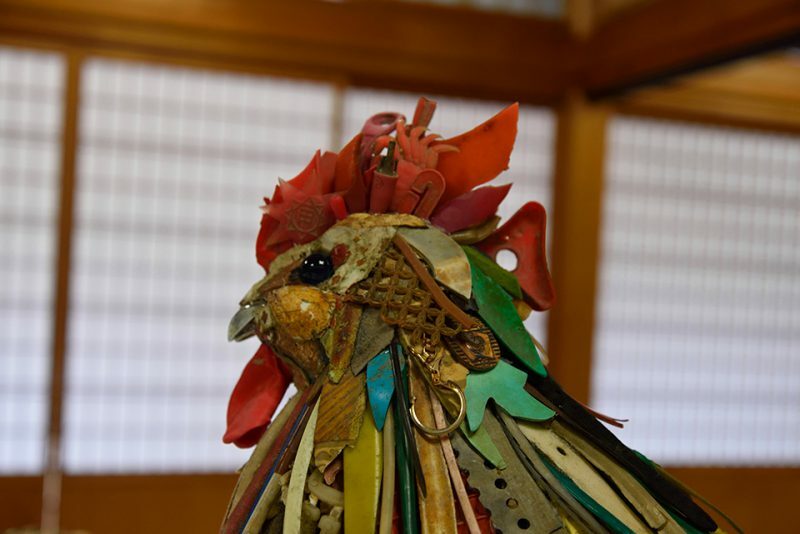 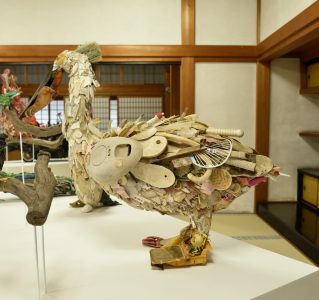 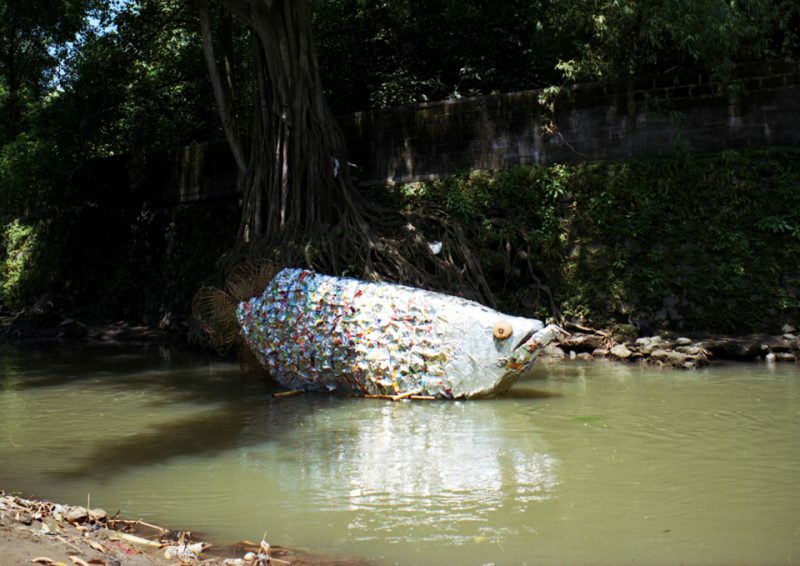 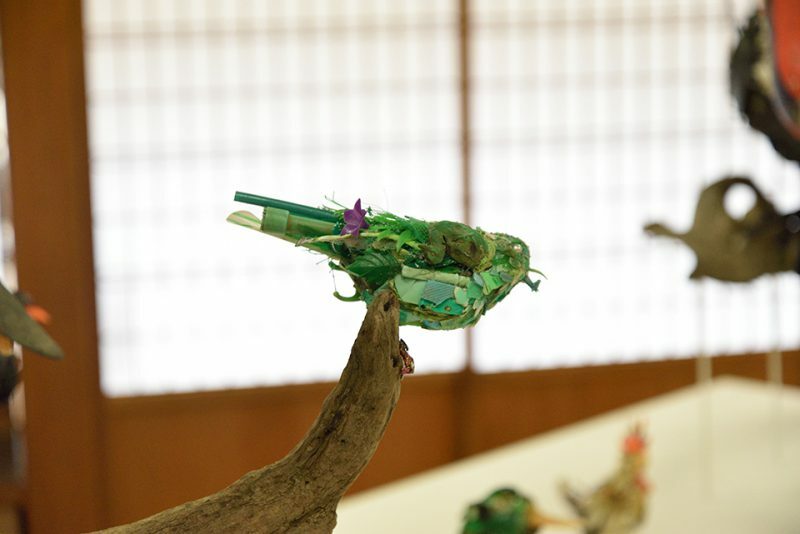 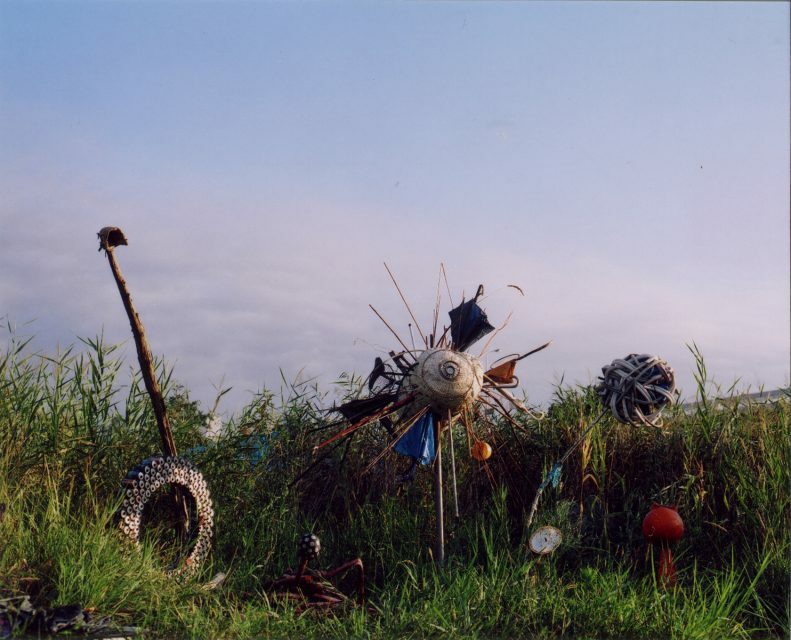 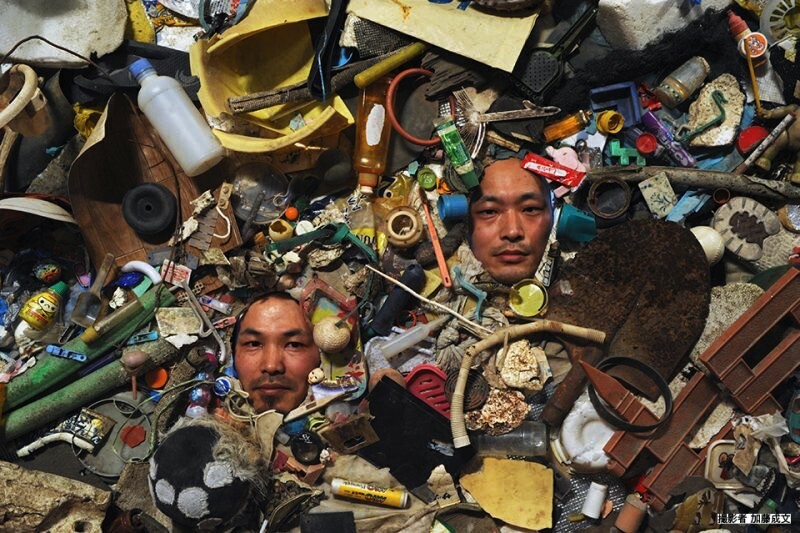 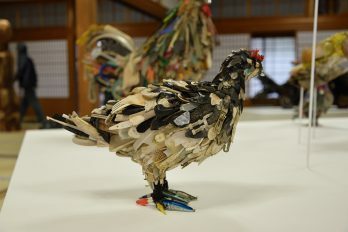 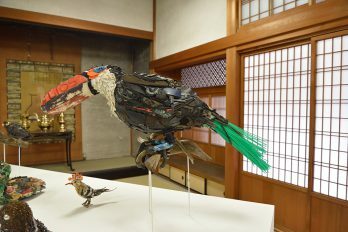 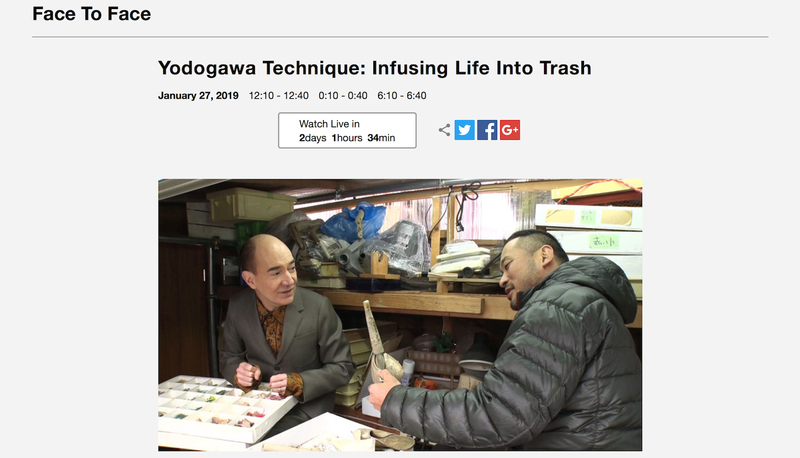 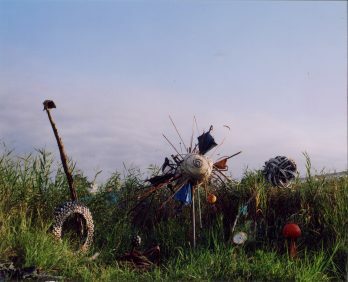 Yodogawa Technique mainly uses garbage and floating objects that have drifted to the riverbank to create works. 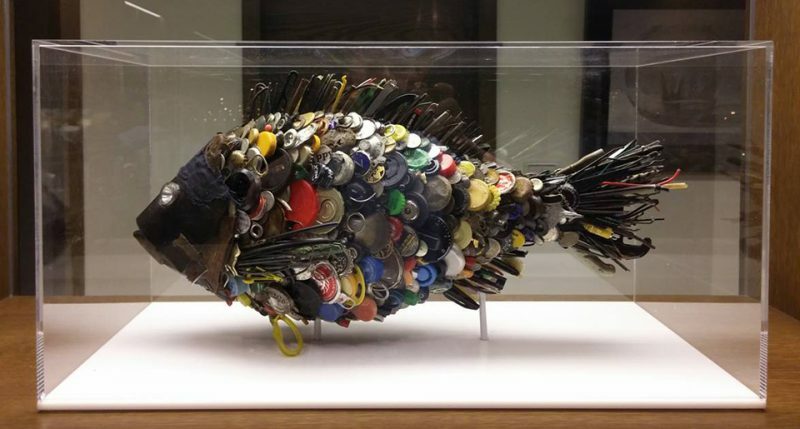 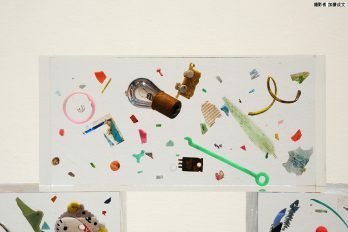 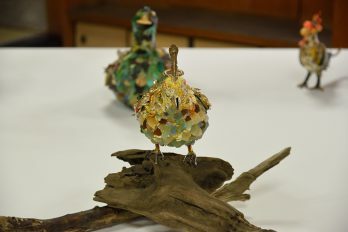 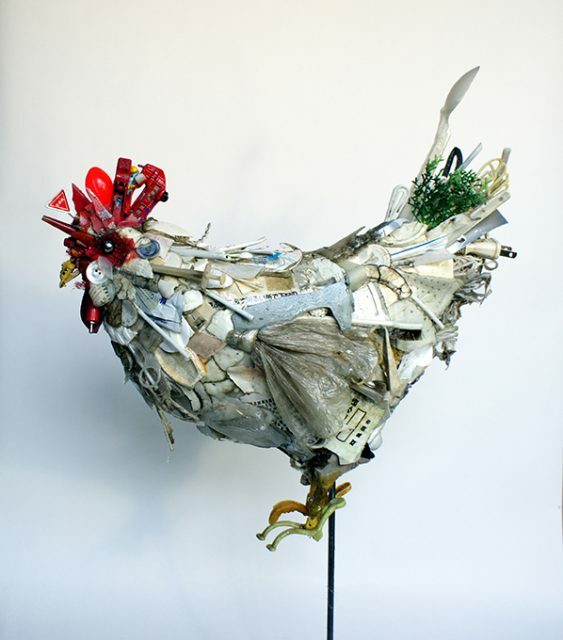 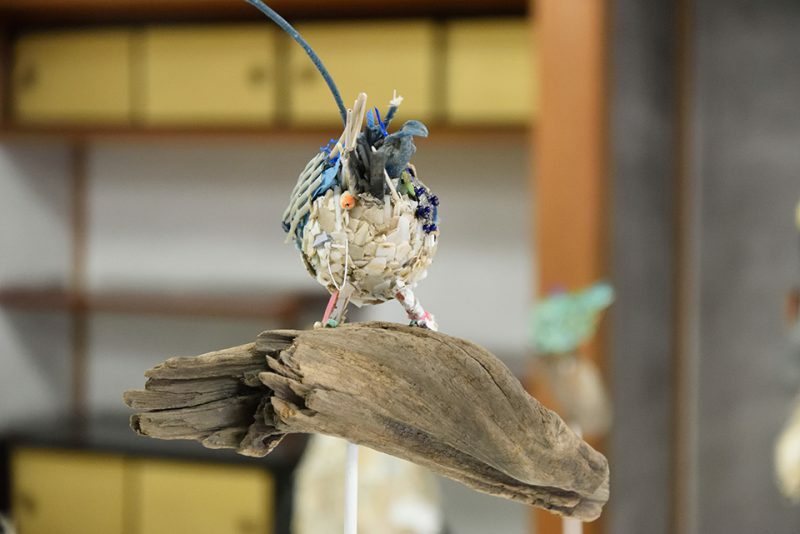 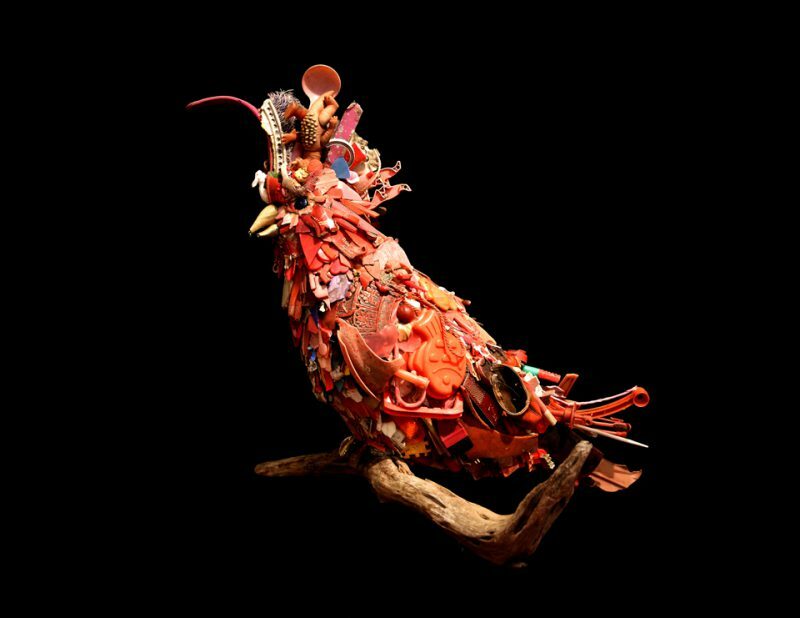 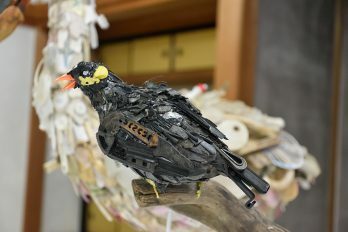 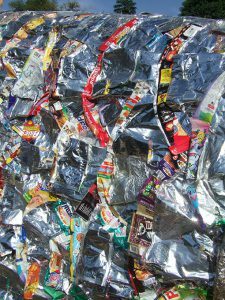 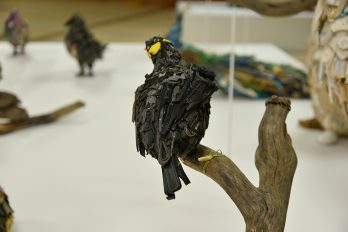 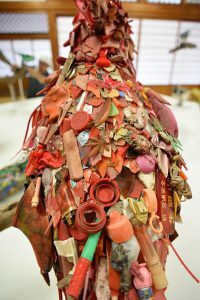 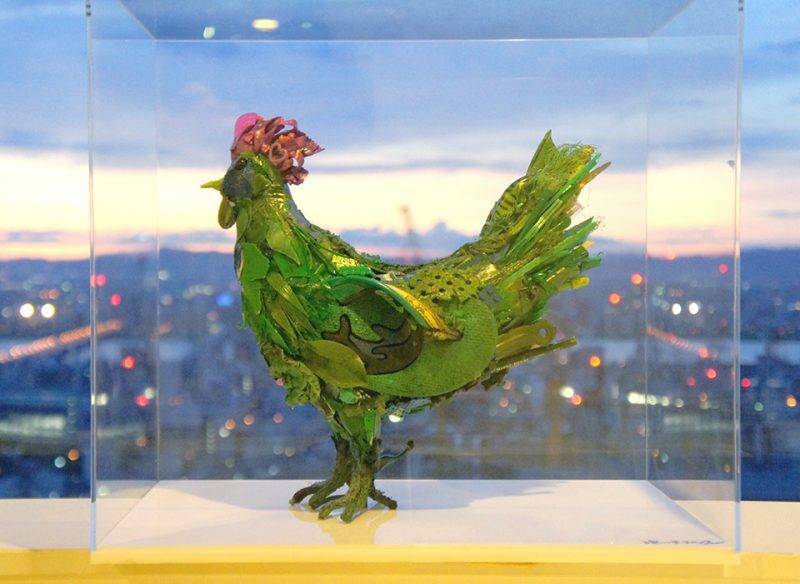 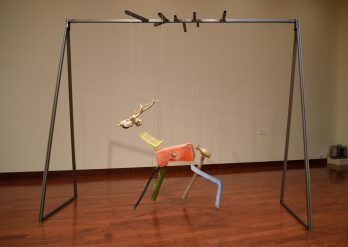 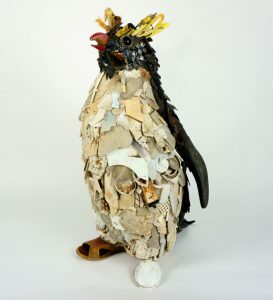 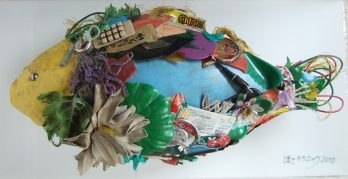 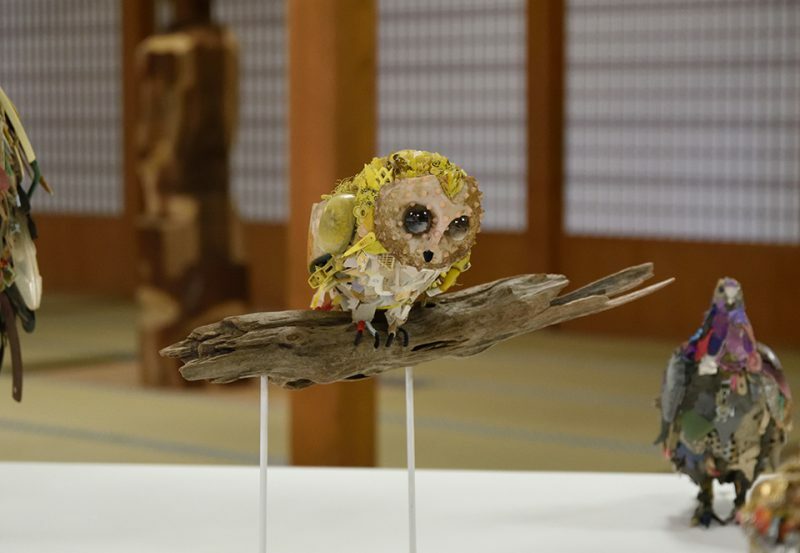 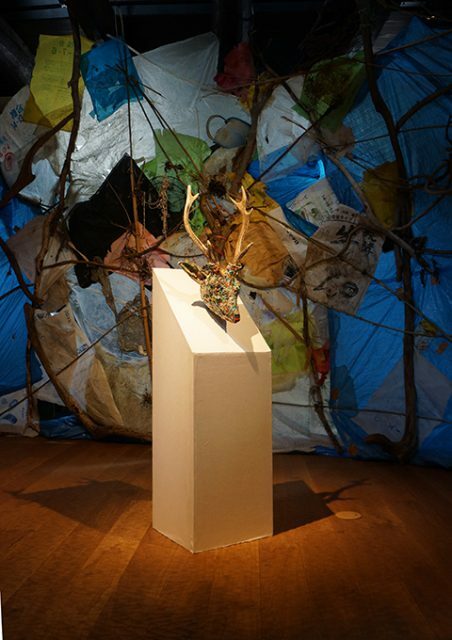 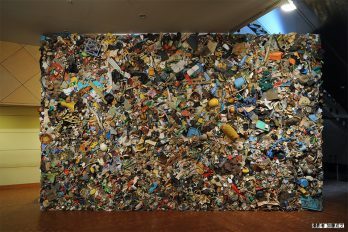 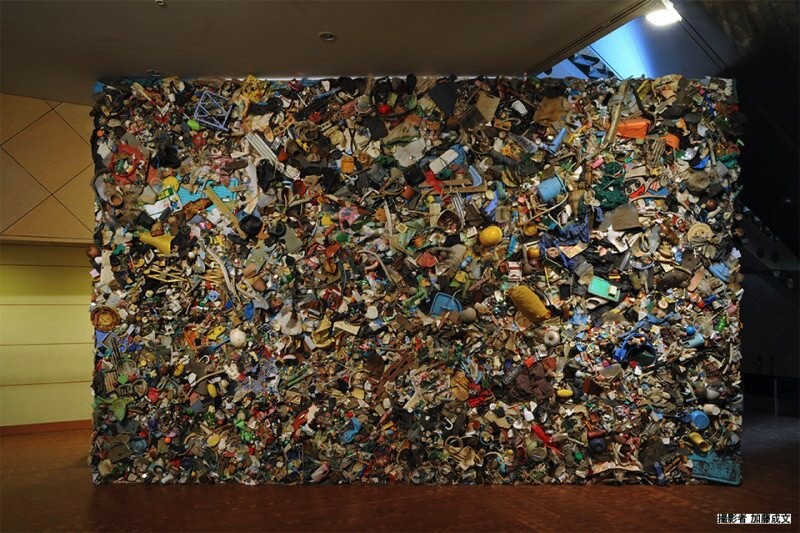 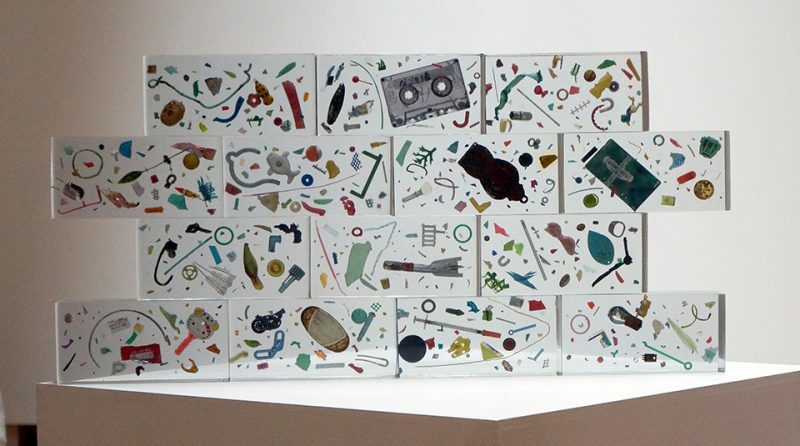 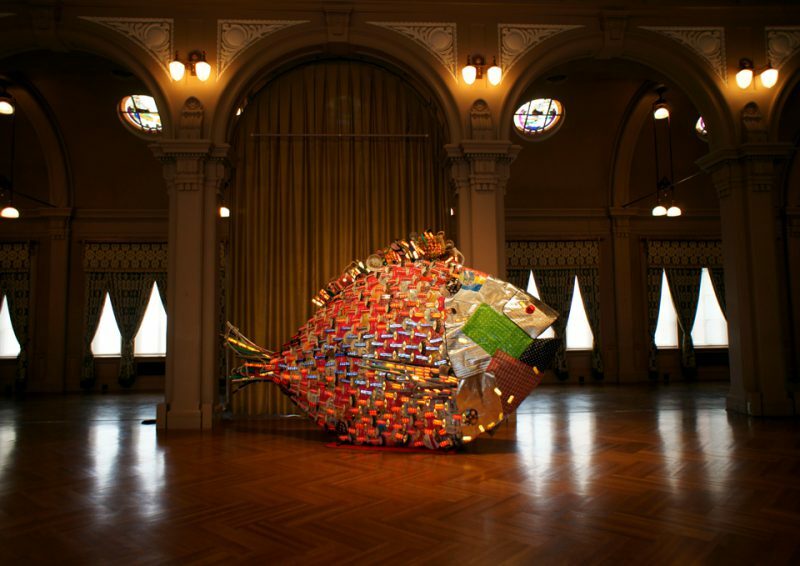 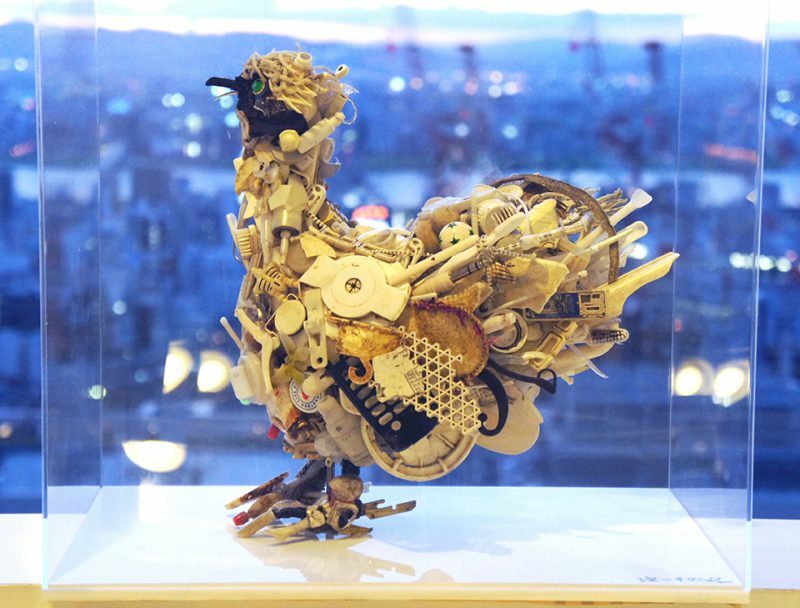 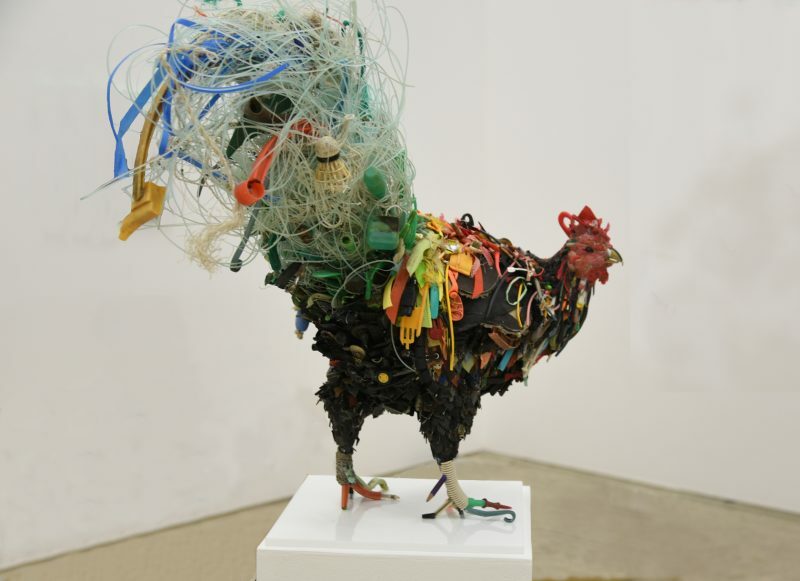 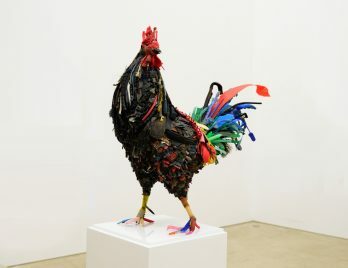 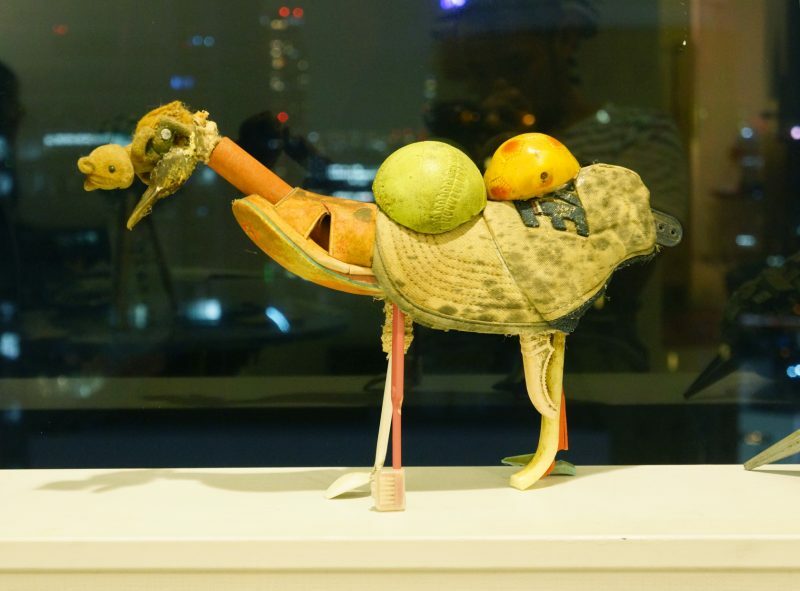 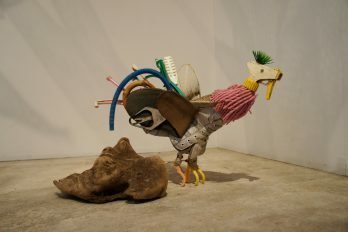 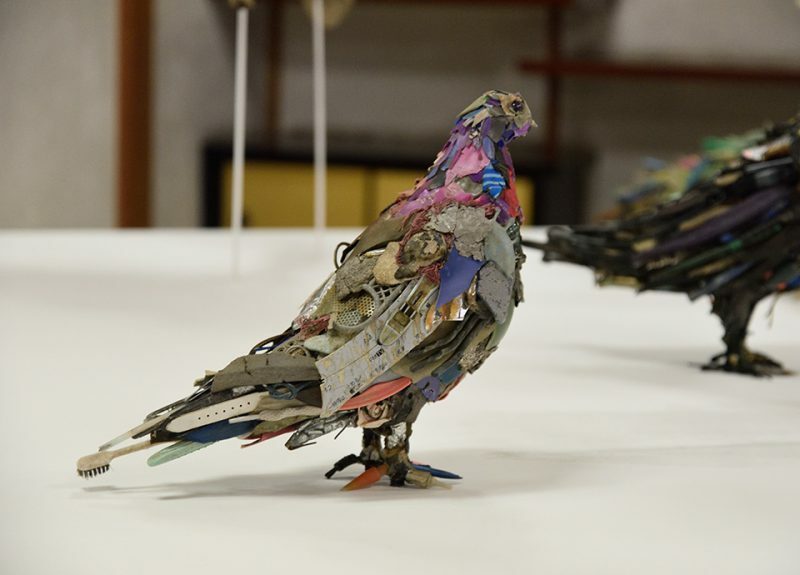 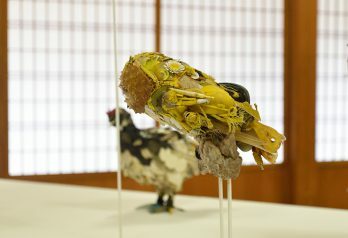 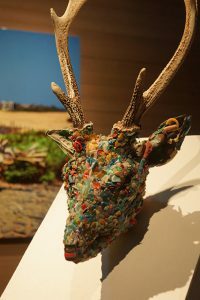 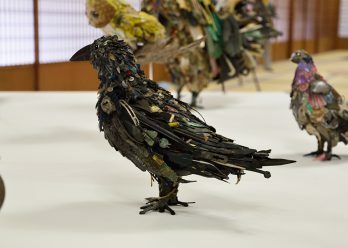 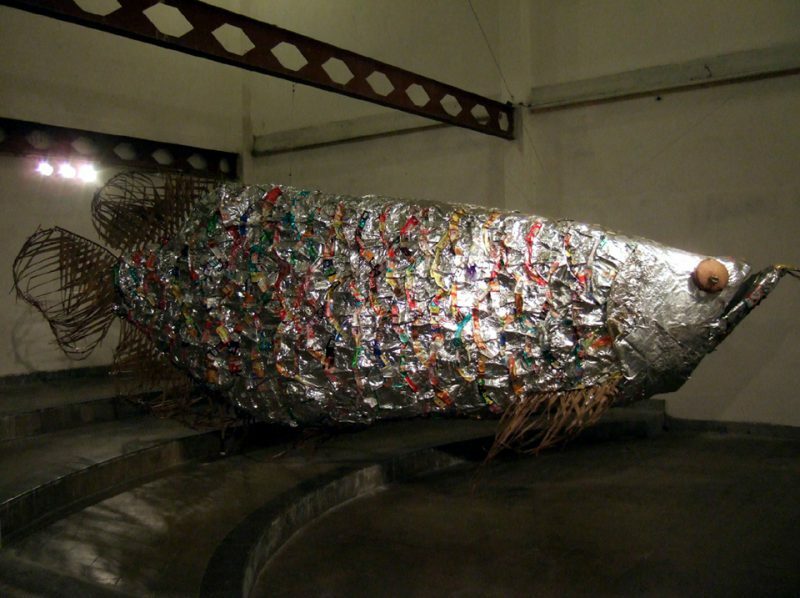 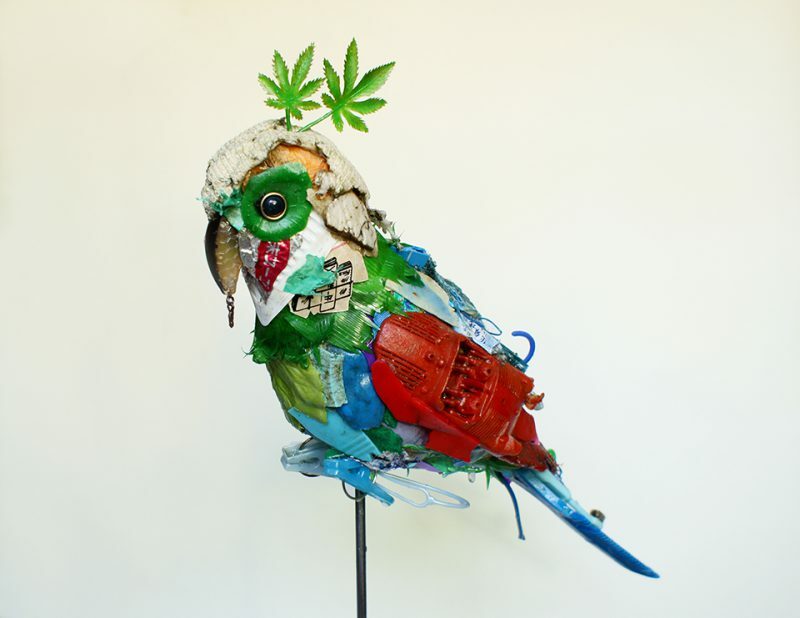 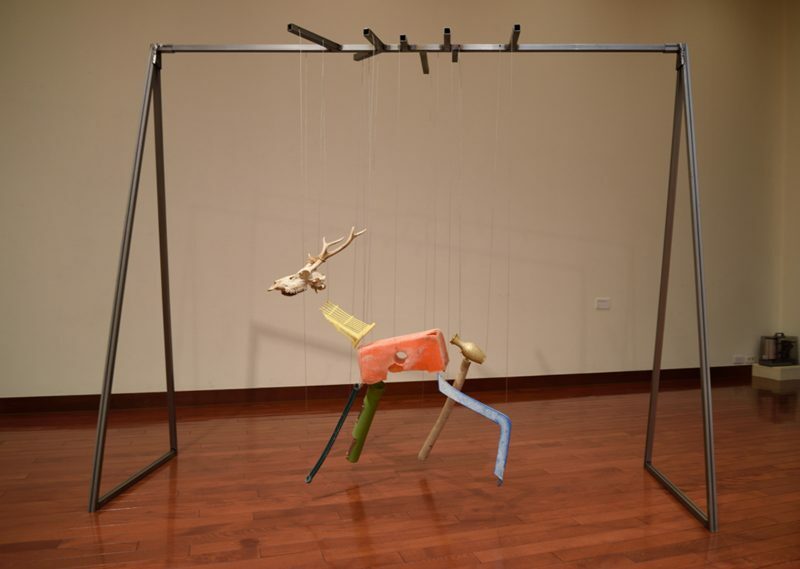 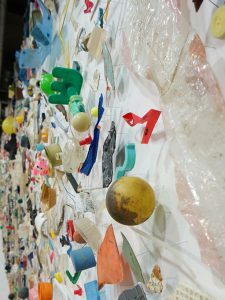 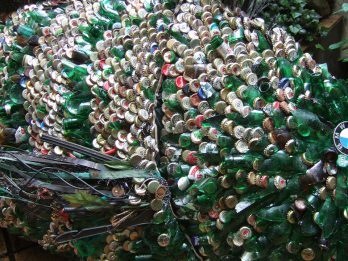 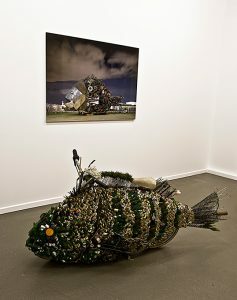 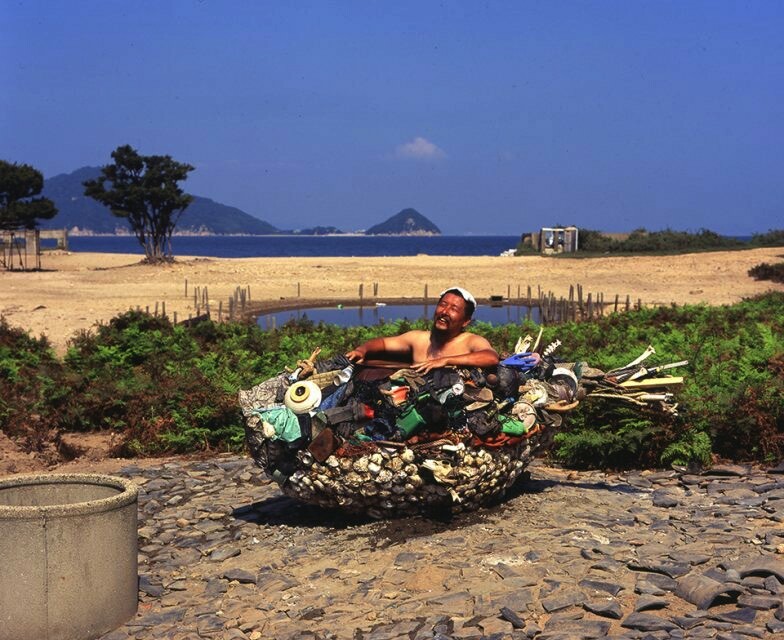 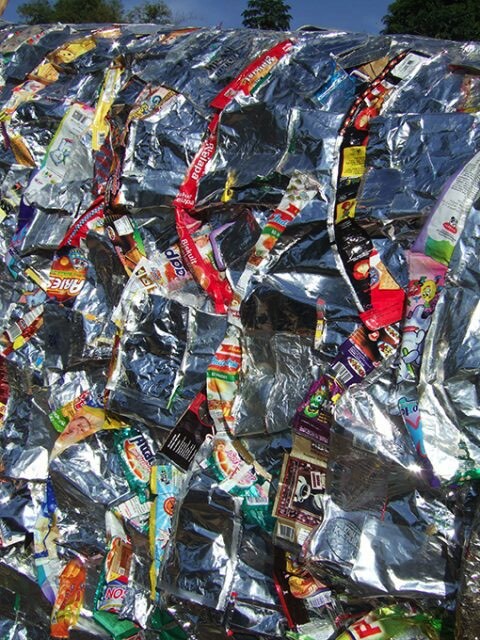 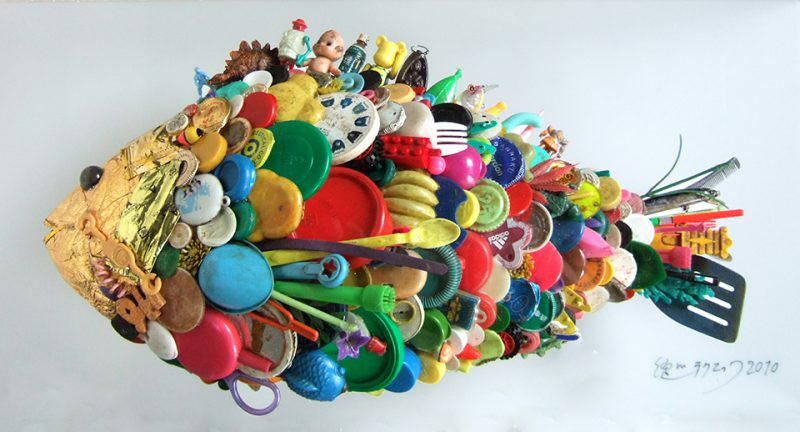 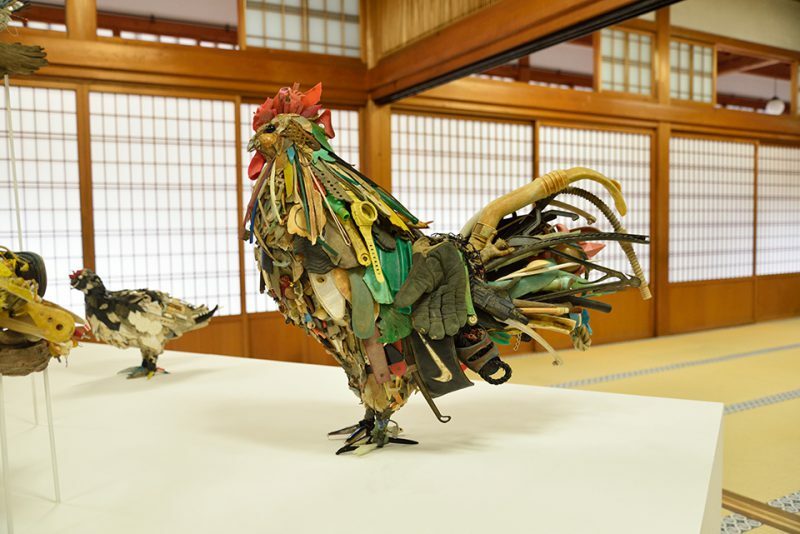 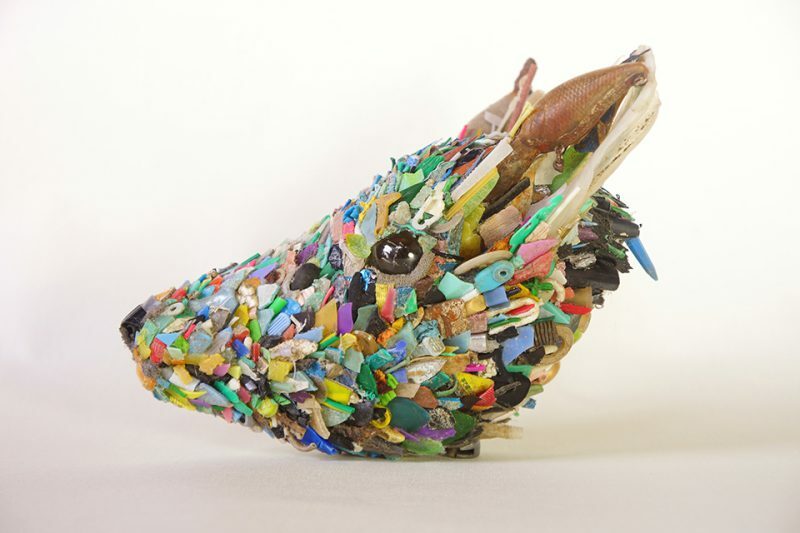 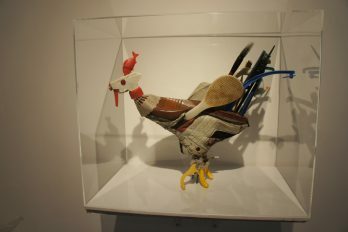 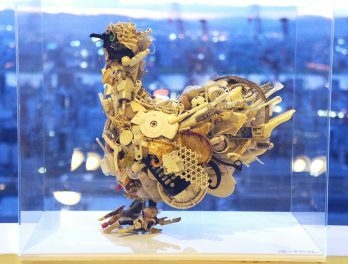 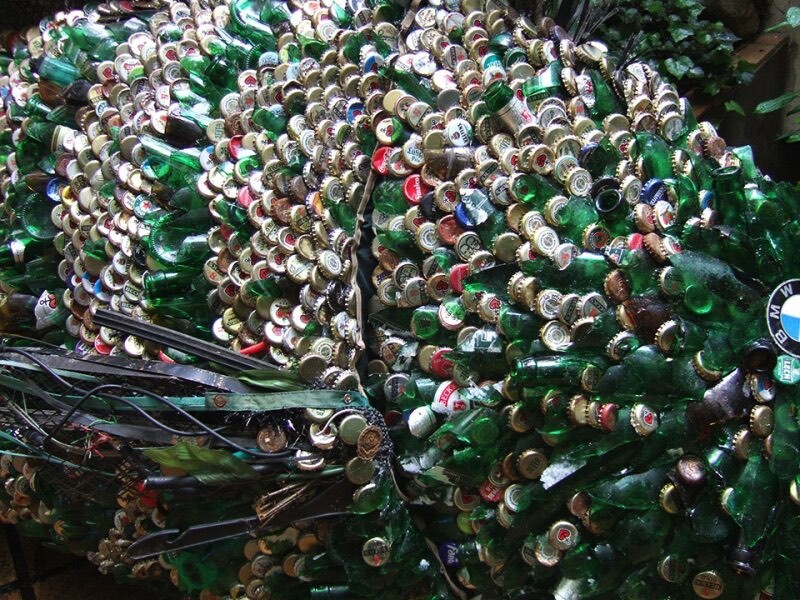 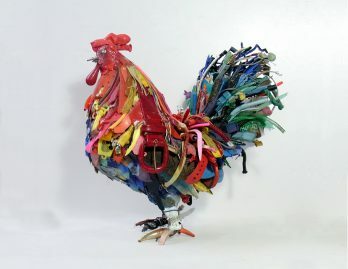 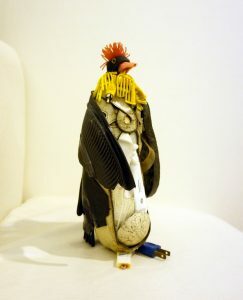 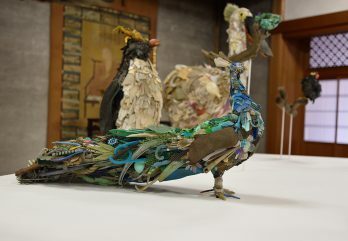 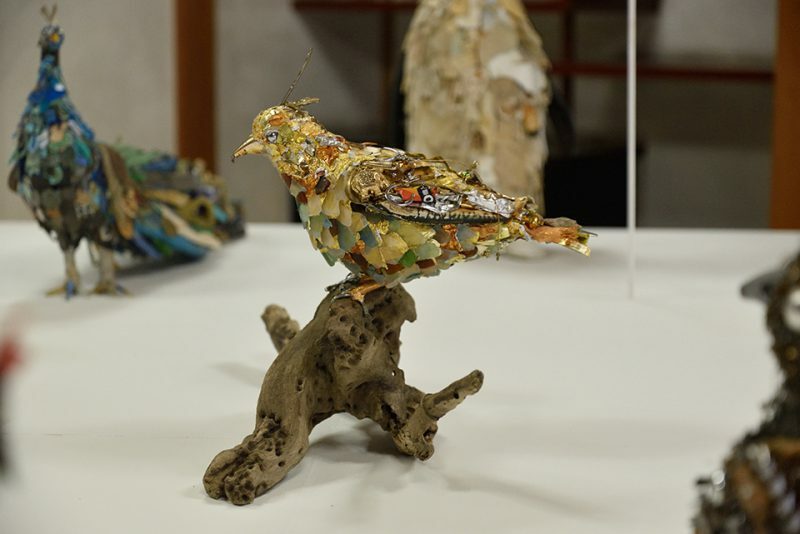 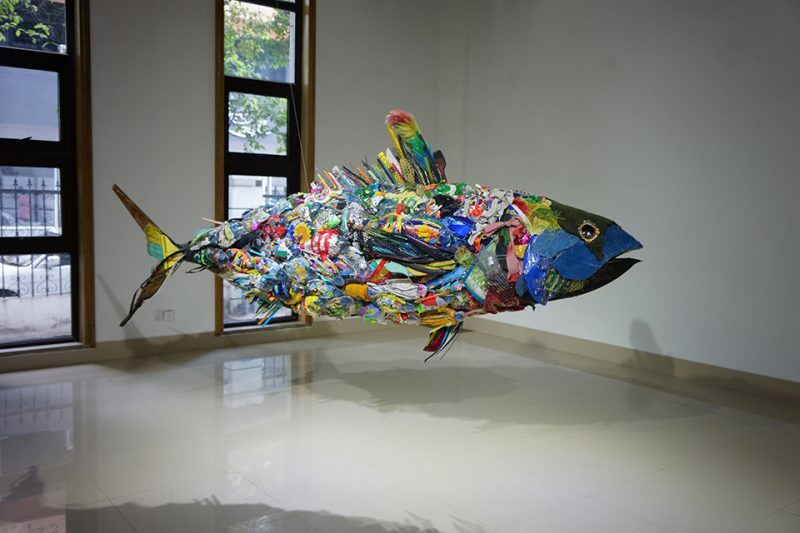 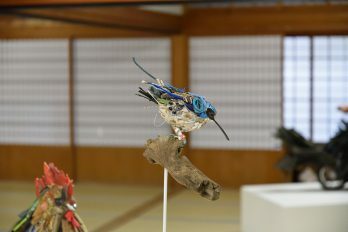 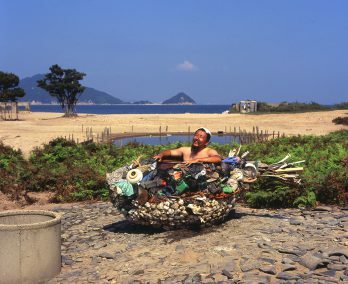 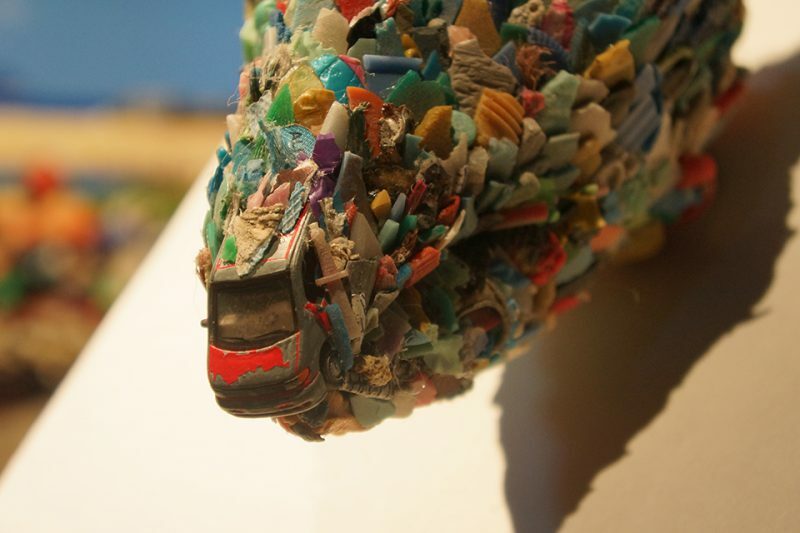 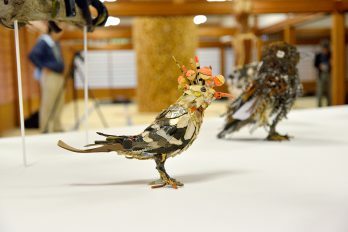 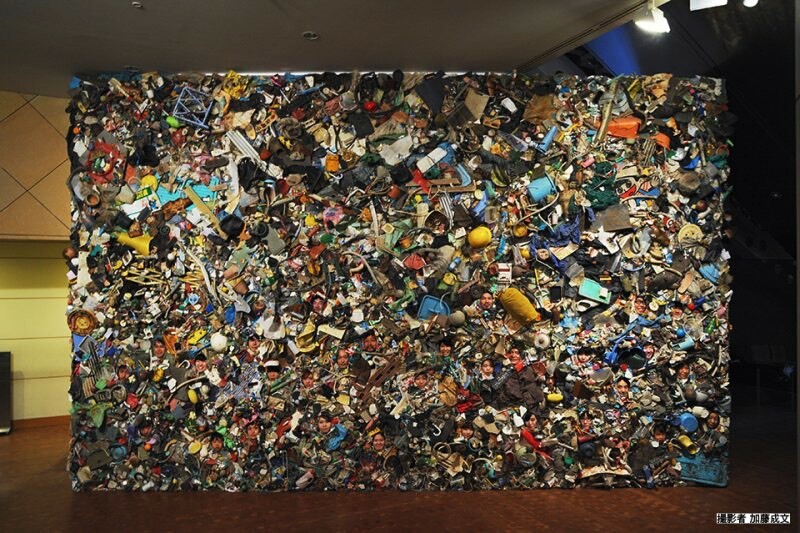 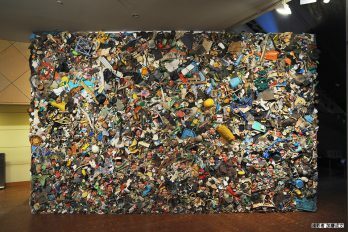 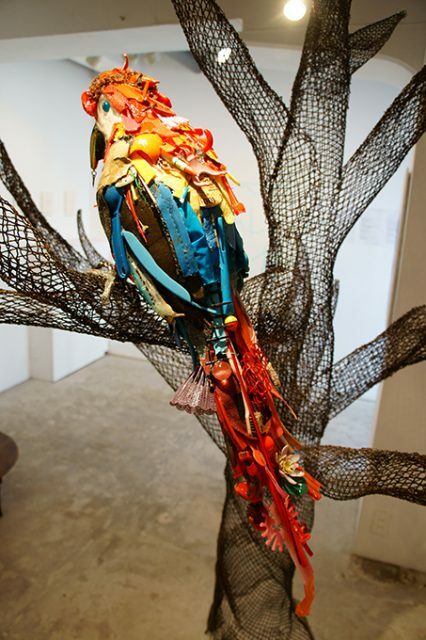 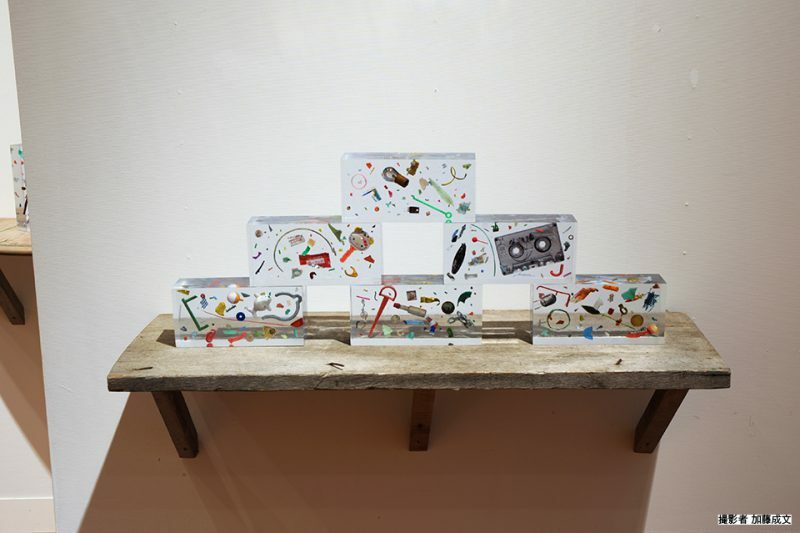 Its creations involve making beautiful models and sculptures that do not resemble its original form as garbage. 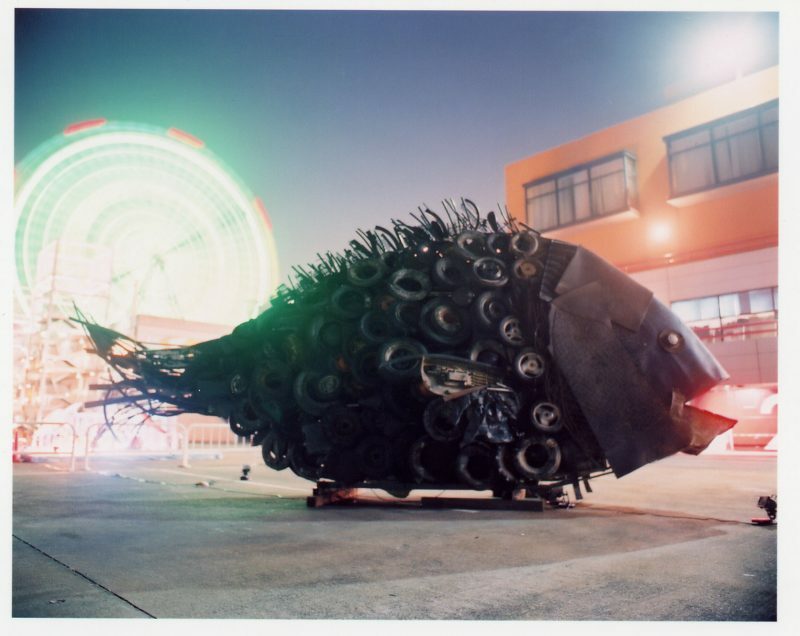 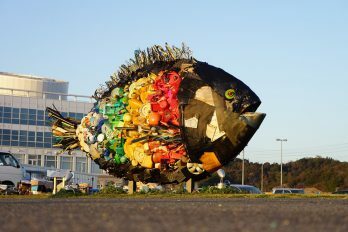 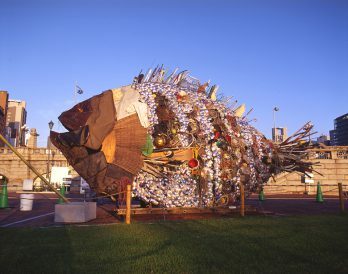 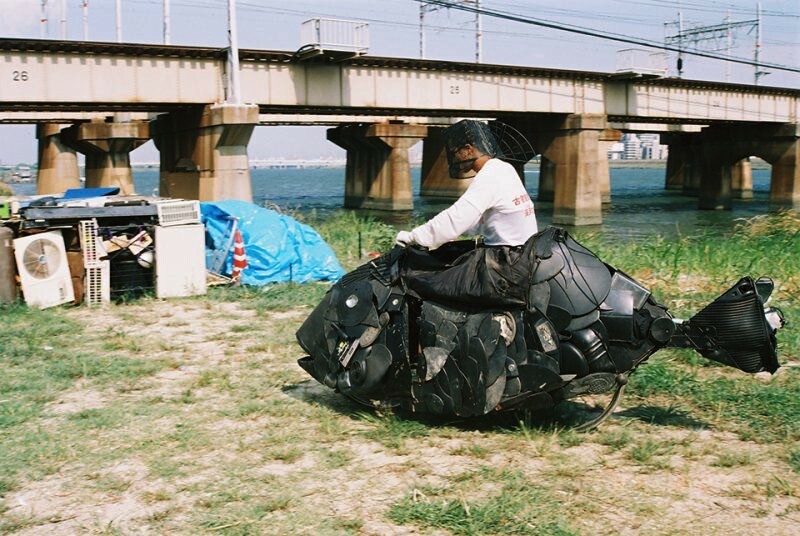 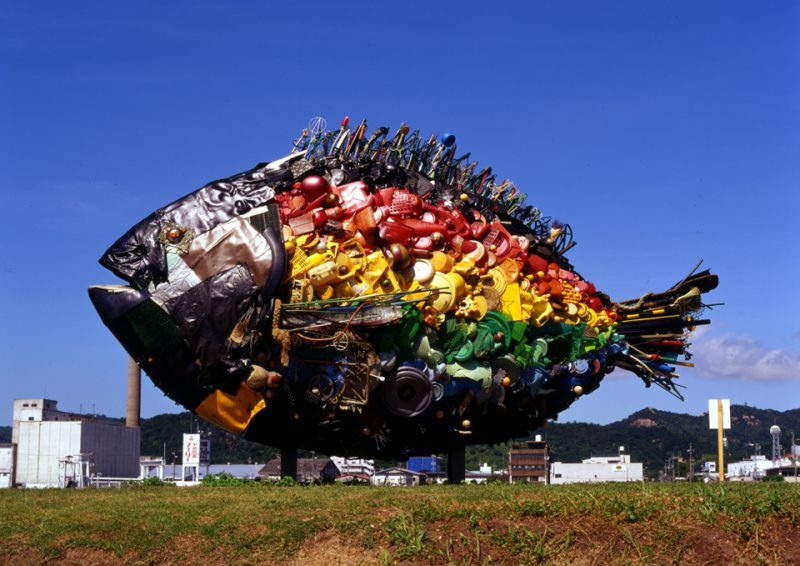 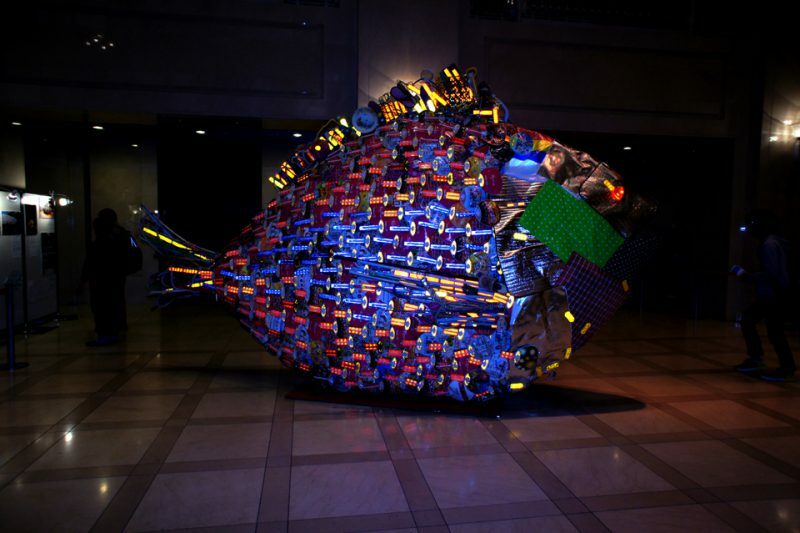 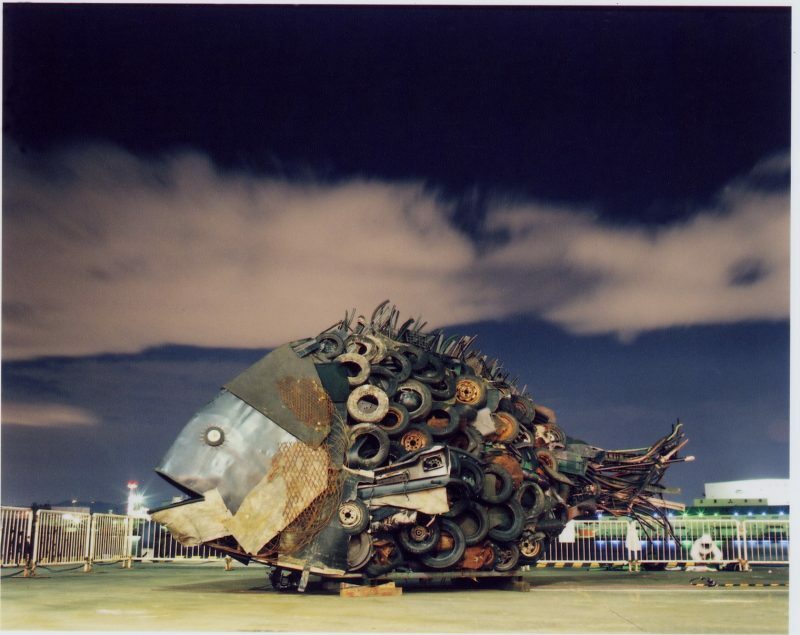 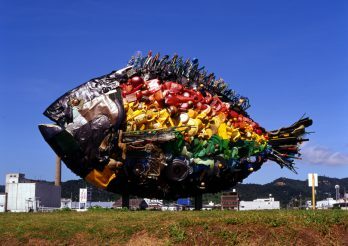 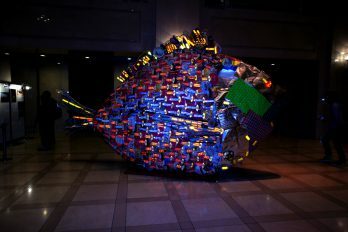 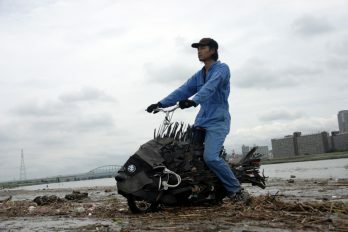 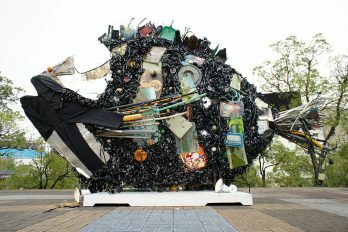 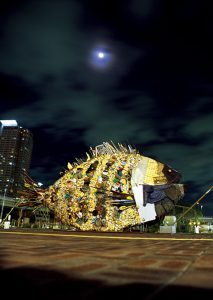 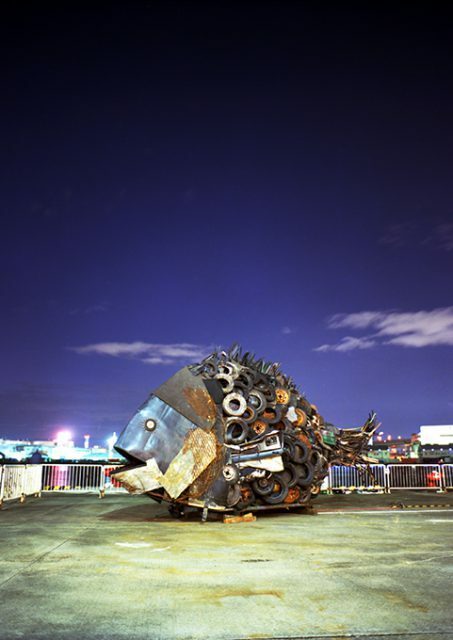 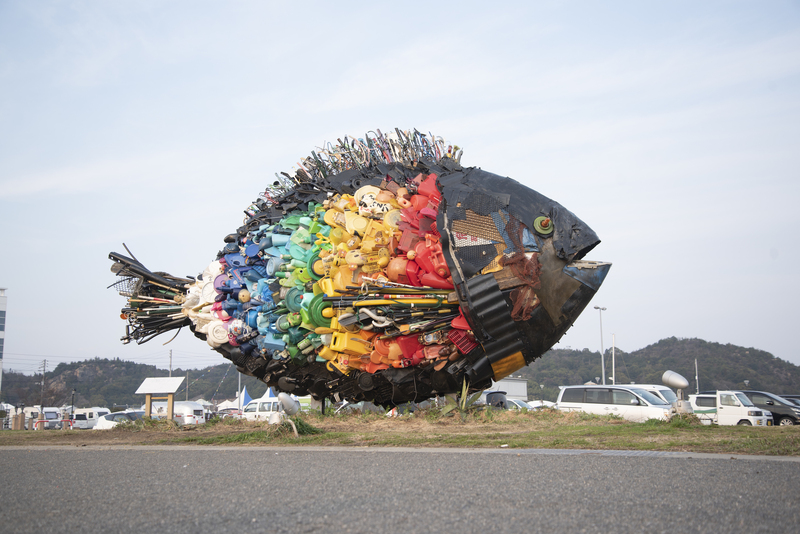 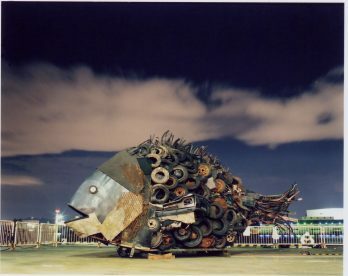 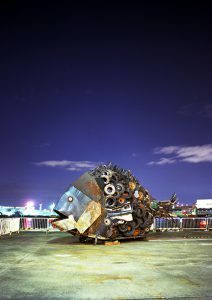 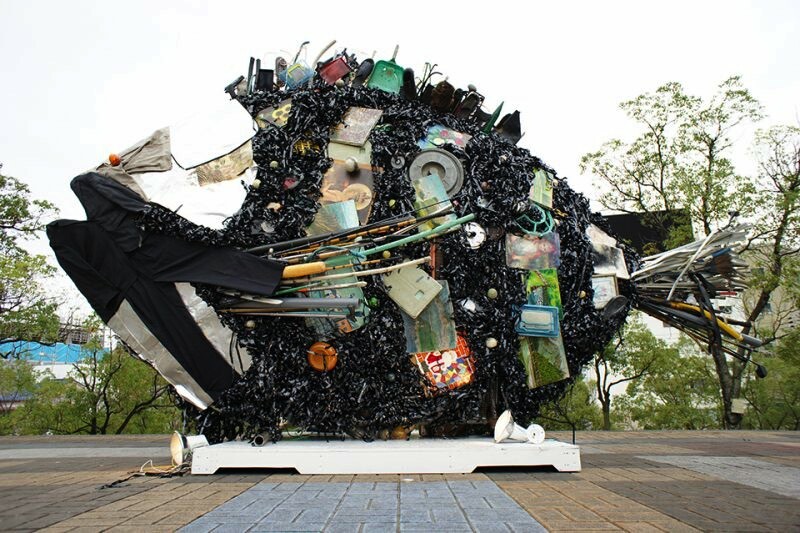 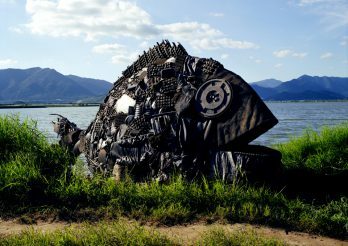 "Chinu, the Black Sea Bream of Uno", one of their public art works (Uno port, Okayama, Japan) is well known to the public. 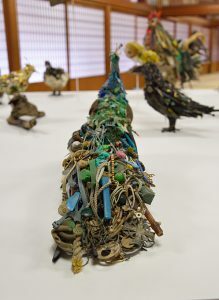 Yodogawa Technique is also renowned for "Gomunication" which derives from the word "gomi" (garbage in Japanese) and communication. 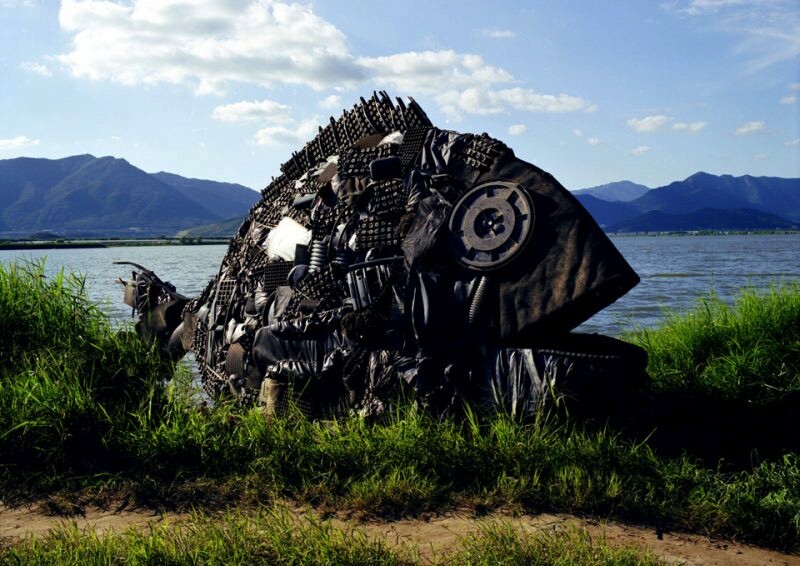 Based on this concept, Yodo-Tech has been creating works in various places all over the world, interacting with locals and doing community projects. 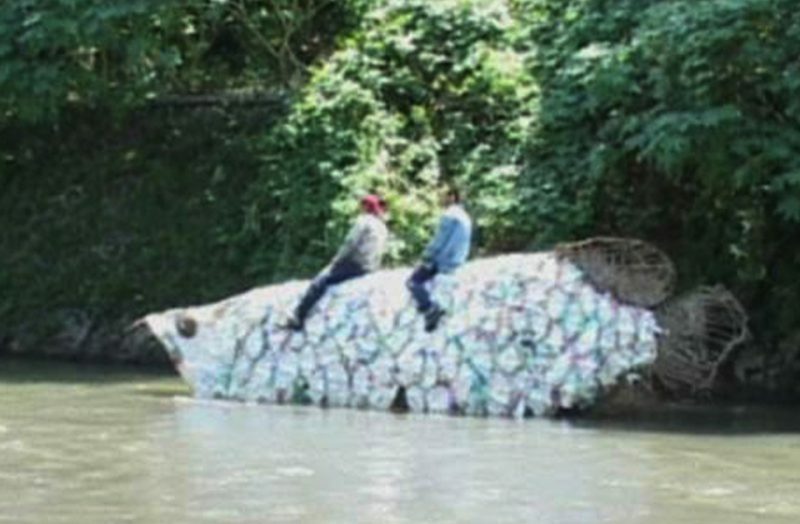 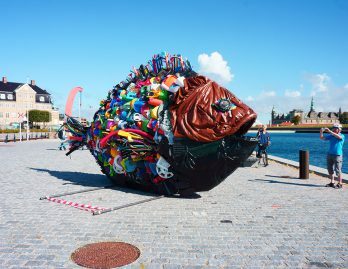 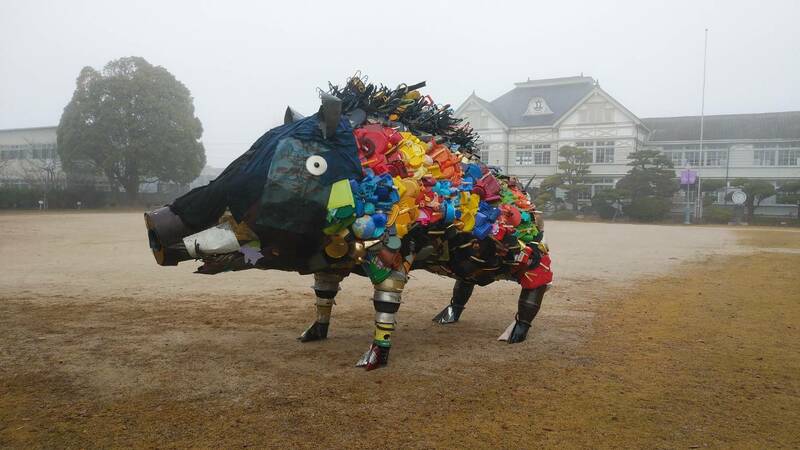 Its way of communicating through art always brings a new perspective for locals and raises awareness for environmental issues. 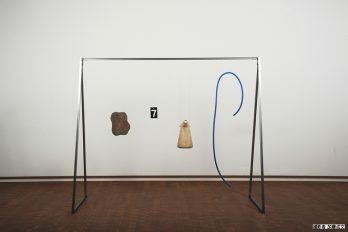 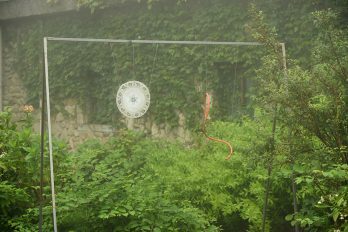 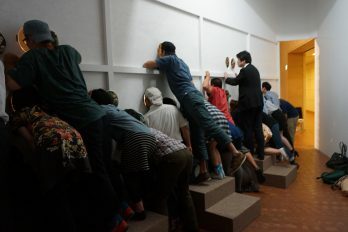 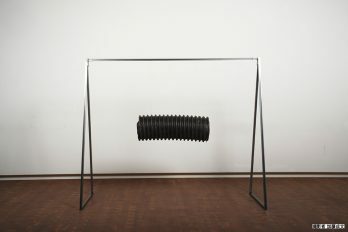 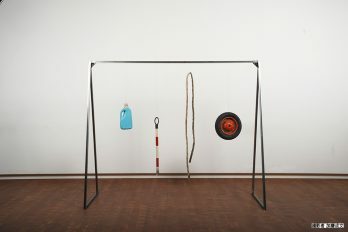 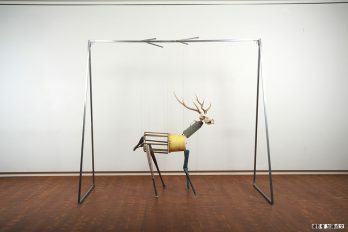 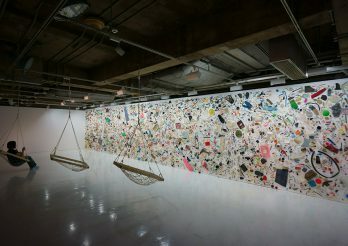 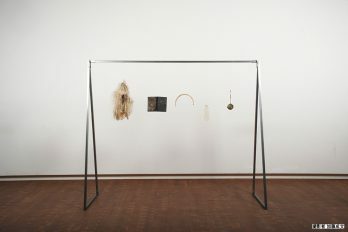 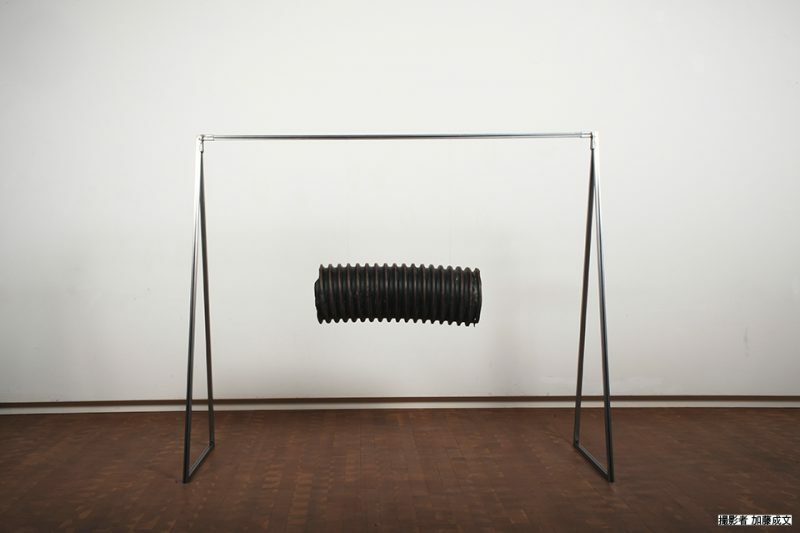 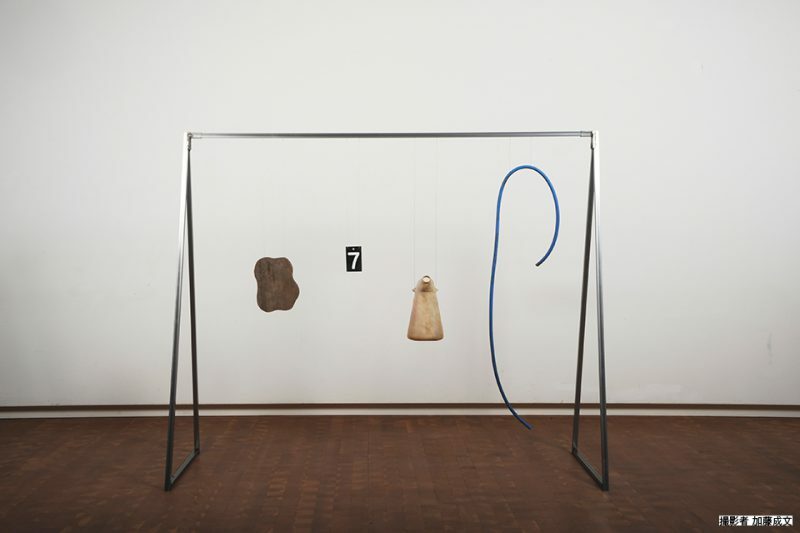 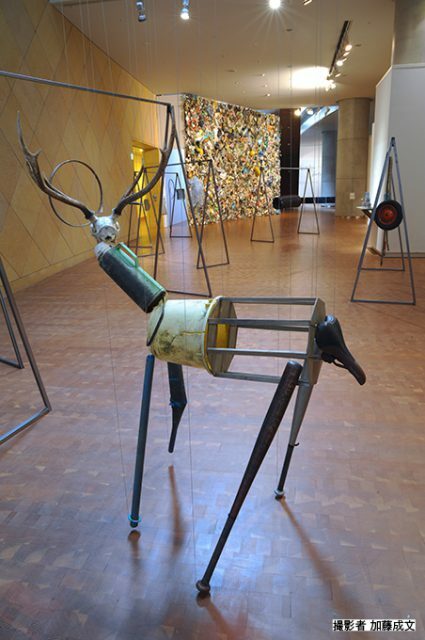 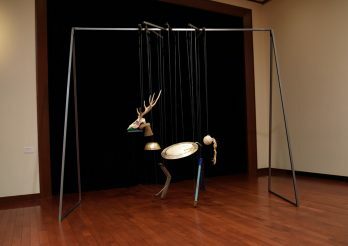 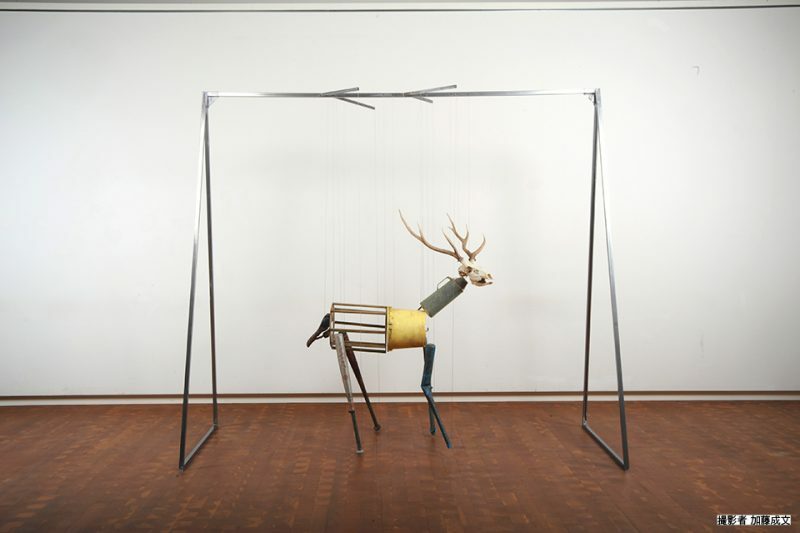 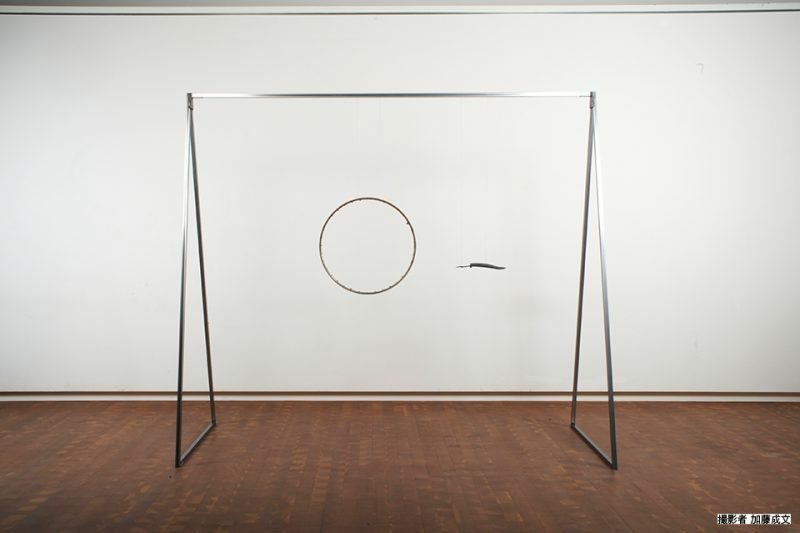 The exhibitions participated include the Busan Biennale 2006 (Korea), the “KITA! !” contemporary Japanese art exhibition (Indonesia in 2008), “TWINISM” exchange exhibition between Osaka and Hamburg (Germany and Japan in 2009), "the Breathing Atolls: Japan-Maldives Contemporary art exhibition " (Maldives in 2012), “Kunst&Byrum Helsingør 2014 The life in the Sound” (Denmark) and many more. 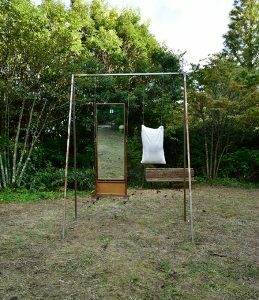 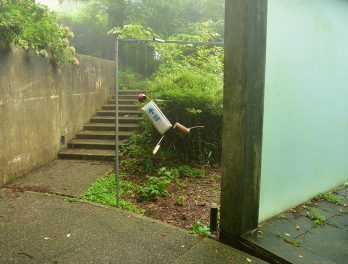 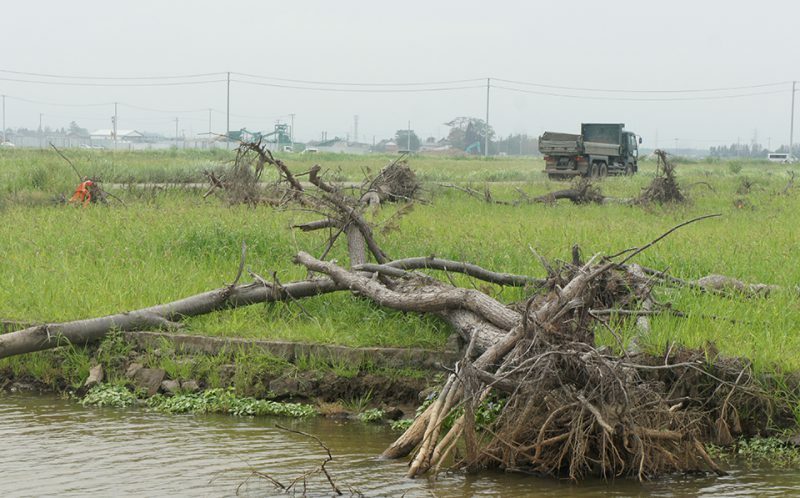 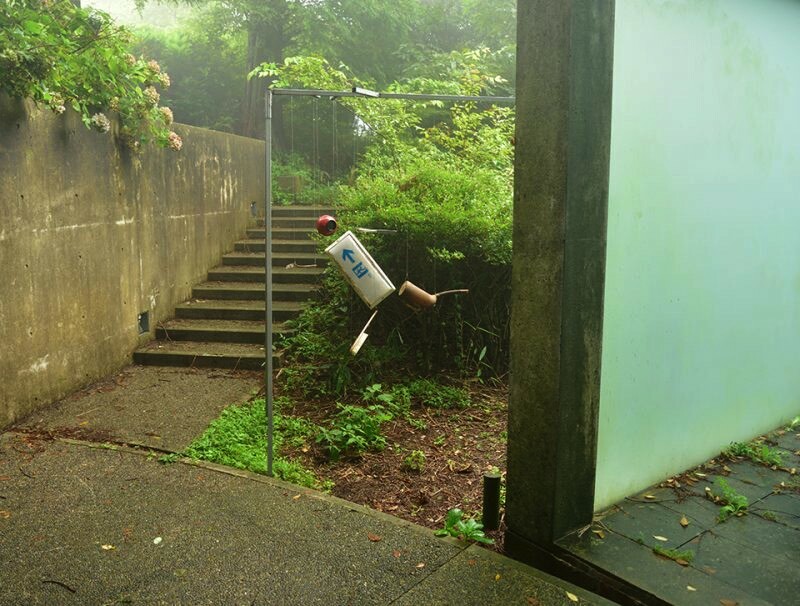 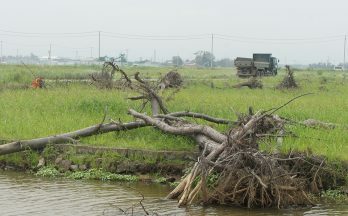 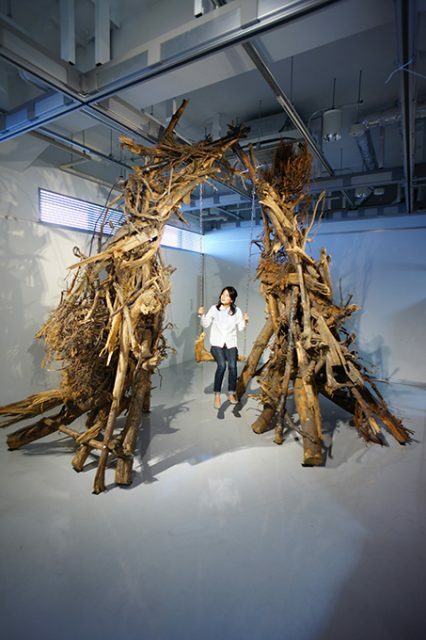 In 2011, Yodogawa Technique worked on the reconstruction support project for Wakabayashi area in Sendai, Japan, where devastating tsunami attacked, by creating an art work using affected windbreak forests there. Received Silver prize at GEISAI #5, the Grand Prix at the Kirin Art Project 2005 and “Sakuya Konohana Award” in 2009. 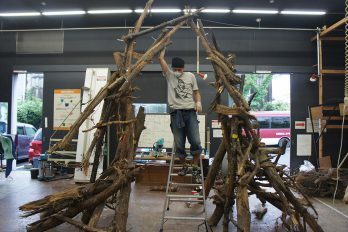 Founded YODOGAWA TECHNIQUE with his school friend Kazuya MATSUNAGA (born 1977, Kumamoto, Japan).